On Tuesday I spent some time with the reelected prime minister of Israel, Benjamin Netanyahu. I think he was happy to take a short break from his Herculean labors of putting together a government and dealing with controversies galore. So we engaged in some small talk and exchanged compliments and stories about our parents. I particularly enjoyed his fascinating account of his father’s work with the great Zionist leader Ze’ev Jabotinsky in the last year of Jabotinsky’s life, and his father’s subsequent efforts to rally support in the United States during World War II for European Jewry and for the creation of the state of Israel. His failure on the first front and his success in the second is a useful reminder of the extent to which, in politics, tragedy and triumph are not alternatives but cousins. Speaking of triumphs, I did of course congratulate the prime minister on his reelection victory. But he had no interest in dwelling on that, and, indeed, his manner was in no way triumphalist or even exuberant. The prime minister was sober, and he was alarmed. The main cause of his alarm wasn’t the host of attacks that have recently been launched against Israel by the administration in Washington. He simply expressed confidence in the underlying strength of the U.S.-Israel relationship and refused to engage, even in this private setting, in any reciprocal attacks on his American counterparts. No, what alarmed the prime minister was Iran. The progress of the Iranian regime toward nuclear weapons is the threat, as he sees it, to the well-being of Israel, the overall success of American foreign policy, and any hopes for peace and stability in the Middle East. The nuclear arms deal the Obama administration seeks with Iran would secure Iran’s path to nuclear weapons capability and would strengthen a regime that not only proclaims death to Israel and death to America but shows by its behavior that it means both statements. And this is to say nothing of the likelihood of a nuclear arms race in the Middle East to follow. The prime minister made his points without hyperbole or bravado. None of them was new, as he himself stressed. After all, he has been as clear and outspoken as anyone could be about the threat of a bad deal, including in his remarks earlier this month to the United States Congress. His private arguments very much reflected his public ones, and the arguments other critics of the deal have been making. Indeed, on a couple of occasions the prime minister interrupted himself to say, “but of course you understand this point, you’ve published these arguments.” And so we and others have. It’s not as if scholars at the American Enterprise Institute and the Foundation for Defense of Democracies and the Council on Foreign Relations and the Hudson Institute—to say nothing of senators and congressmen and former secretaries of state—haven’t explained that we are heading towards a bad deal with a bad regime. It’s a bad deal for all the reasons experts have pointed out. It won’t disassemble Iran’s nuclear infrastructure, while it does disassemble the sanctions regime that finally had started to bite and that holds the best hope of peacefully stopping Iran’s nuclear program. It doesn’t deal with Iran’s weapons programs or force Iran to come clean about its military agenda. 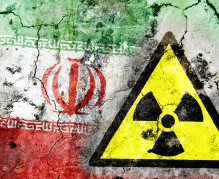 It has limits on inspections and verification, and a time limit on the restrictions on Iran’s capabilities to boot. It demands no promise of any change in Iranian behavior. So it’s a bad deal with a bad regime, one that is a leading sponsor of terror, an aggressor in the region, an enemy of the United States, and committed to the destruction of Israel. And it’s a bad deal that will strengthen a bad regime, that will encourage bad regimes elsewhere in the world to redouble their murderous pursuits, and thus will make war—no, wars—more likely. The next day, in my hotel room in Jerusalem taking a break from preparing the class I was here to teach, I read about Tuesday night’s Simon Wiesenthal Center annual gala tribute dinner at the Beverly Hilton hotel. The news from the dinner was the speech by Harvey Weinstein, recipient of the Center’s Humanitarian Award. I think it’s time that we, as Jews, get together with the Muslims who are honorable and peaceful—but we [also] have to go and protect ourselves. . . . There’s gotta be a way to fight back. While we must be understanding of our Arab brothers and our Islamic brothers, we also have to understand that these crazy bastards [Arab and Islamic extremists] are also killing their own—they’re killing neighbors, they’re killing people from all sorts of different races. These seemed to me perhaps useful things to be said to a Hollywood audience—especially when said by a liberal who was a strong and vocal supporter of President Obama in both 2008 and 2012. But reading about these remarks in Jerusalem, one couldn’t help but be put off, even embarrassed, by the bravado and tough talk. Fighting anti-Semitism is of course a good thing. But all the deplorable kinds of anti-Semitism Weinstein is going to spend time fighting pale in importance next to the prospect of an anti-Semitic Iranian regime getting nuclear weapons with the acquiescence of the United States. And about that, Weinstein has been, so far as I know, silent. And Weinstein’s friends in American politics have mostly been silent. Perhaps Weinstein will call Hillary Clinton and Chuck Schumer and Harry Reid, and persuade them to act to block a bad deal with the Iranian regime. Perhaps Weinstein will call his friend President Obama and ask him to stop participating in the delegitimization of Israel as he contributes to the legitimization of Iran. Perhaps Weinstein will even ask him to put the threat of military force back on the table. But counting on prominent and wealthy Jewish liberals to speak up against their friends in the face of existential threats to the Jewish people has never been a good bet. Benzion Netanyahu saw this up close in June 1940, when mainstream American Jewish leaders boycotted his mentor Ze’ev Jabotinsky’s speech in New York when Jabotinsky sounded the alarm about what was happening in Europe. Now his son, Benjamin Netanyahu, is sounding the alarm about what is happening today. He has made the case, in my view irrefutably, that no friend of Israel can support the forthcoming deal with the Iranian regime. Nor is such a deal in any way in the broader American national interest. Yet a misguided American administration is on a path to choosing dishonor and setting the stage for future wars. It is up to American leaders in both parties and all walks of life to do their best to avert this outcome. And if it is left to Israel to act, the least Americans can do is support our democratic ally, just as the least Americans could honorably do in 1940 was support Britain as, in her finest hour, she stood and fought alone. President Obama’s “deal”—or “series of cascading concessions”—would enable Iran to get nuclear weapons, and it shows the Founders’ wisdom in not vesting the treaty-making power in one man. President Obama’s deal-at-all-costs agreement would give Iran $140 billion (with which it would fund terrorism and other activities), make it hard to reintroduce sanctions, increase the prestige of Iran’s dictatorship, and accelerate Iran’s nuclear program, while giving the U.S. nothing of note in return.